We all experience some amount of hair loss every day and losing up to 100 hairs per day is normal. Sometimes you may end up with bald spots if you are a man and in the case of women, you may find the hair on top of your head thinning slowly. Although this is quite common, it can be tough to live with as it may change how you look. Since it is not seen as a life-threatening disease, doctors often disregard it. It is just sad because hair loss can cause serious distress in people with some psychological effects also. Also, in some cases, hair loss may be a result of some medical treatment, like that of cancer treatment drugs. But here hair loss is temporary. Few hair loss treatments are available and by getting in touch with an expert dermatologist, you will get a better idea regarding them. The symptoms are most commonly observed as thinning, in which you can notice hair falling out or like shedding in which clumps of hair fall out. Of the several types of hair loss, the most common type of hair loss which is inherited hair loss for men tend to show up as receding hairline on the front and top of the head. 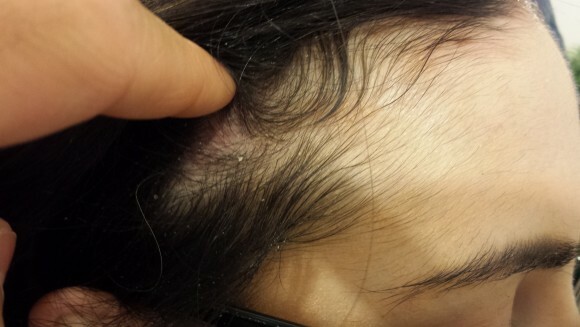 Women with this condition usually have gradual thinning throughout the scalp, but mostly on the top part of the head. These falling out can cause loss of self-esteem and feel unattractive especially in women and teens. Losing a lot of hair, more than normal, can be due to several reasons. The important one being genetics. Other causes can be diseases, stress, medicines, injury, and aging or poor hair care. As said earlier, genetics is an important factor. It is usually called as male-pattern, or female-pattern hair loss and the medical term used is androgenetic alopecia. In this type, your genes affect your hair growth. They trigger sensitivity to a set of hormones called androgens which cause hair follicles to shrink. 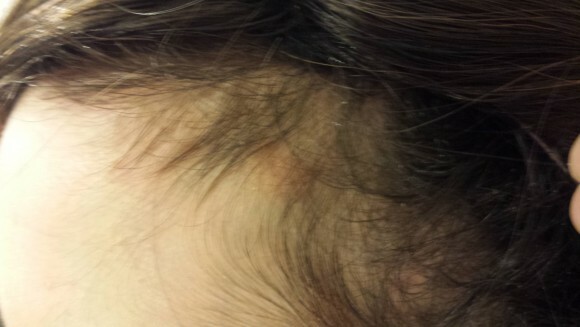 Ringworm of the scalp, this is common in children. Mental dress or physical stress could be recent surgery, illness or even high fever. Hair styling products. Hair loss can be caused by pulling your hair back too tightly or wearing tight braids or ponytails. This is natural. When you start aging your hair becomes weak and breaks more easily, and they do not grow back as much. Poor nutrition, lack of protein or iron in the diet can be a major reason too. Hair loss treatment depends on the cause mainly. Few people choose to treat hair loss with medicines or sometimes hair transplant surgery. Some may even opt to wear hair pieces like wigs or use different kinds of styling products. If disease, medicines or stress is the cause for hair loss then it is better to get the disease treated, change the medicines or even better manage stress. This can help you reduce hair loss. Hair loss treatment can be very important for few as it can help you feel better about how you look. Also, we need to remember that medicines may have harmful side effects and surgery may have some risks. Our specialists at HP dermatology center have few homeopathic medications and treatments to offer which has no side effects on your body and are more effective in hair loss treatment too. Only natural and homeopathic remedies are used therefore they are safe to use having no side effects. Also, our creams do not contain Cortisone (steroid) and has no side effects and doesn’t intoxicate the body. The Homeopathic Hair Lost drops have proven to be very effective and are recommended by our doctors. Now that you have got an idea about hair loss and its causes along with Hair loss treatment options, you can get in touch with us for a natural homeopathic hair loss treatment which will help you reduce hair fall to a large extent. At the same time will also ensure that your body isn’t subjected to harmful chemicals and drugs.